iREx Coordinator, Nathalie Ouellette, hosted the iREx booth at the AAS Student Fair. Credit: Zac Morris. The American Astronomical Society holds two annual meetings where astronomers from around the globe get together. Their Winter Meeting, commonly called the “Super Bowl of Astronomy” welcomes upwards of 3,000 astronomers who want to talk about science, network, recruit for their institution and meet collaborators new and old. The 2019 AAS Winter Meeting took place in Seattle, Washington from January 5th to 10th. The impact of the United States’ government shutdown was felt throughout the meeting, as several hundreds of government employees were not able to attend and a number of planned meetings were cancelled. That being said, the meeting was still a great success with a little bit of everything for everyone that attended. The iREx Coordinator, Nathalie Ouellette, was on site to represent the institution. She hosted a booth during the Student Fair on Sunday evening where hundreds of students came to discover research and academic opportunities from universities and institutes from all over the world. 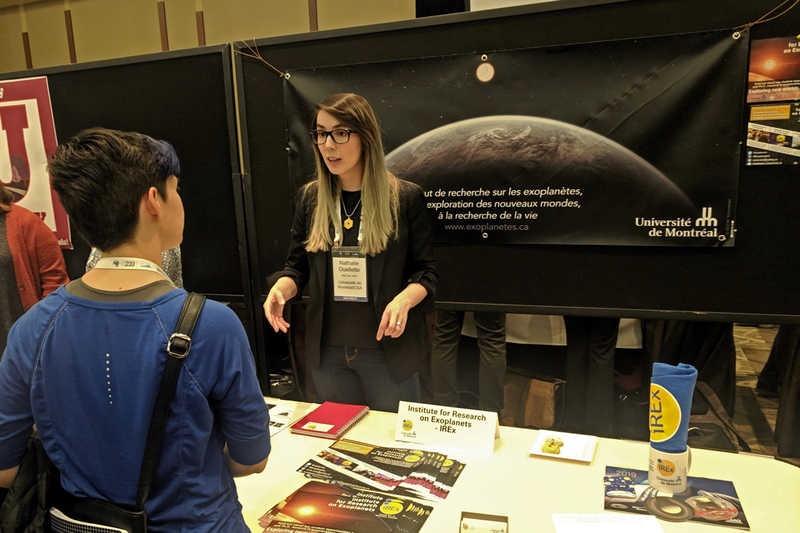 Exoplanets as a research field is exploding at the moment, and many students were keen to find out how they could get involved in graduate school. Students were also interested in finding out more about the graduate system in Canada. The WebbVR experience is available now on Steam for free. Credit: STScI. The AAS is also a great time to check out all the latest educational and outreach offerings from the space community. 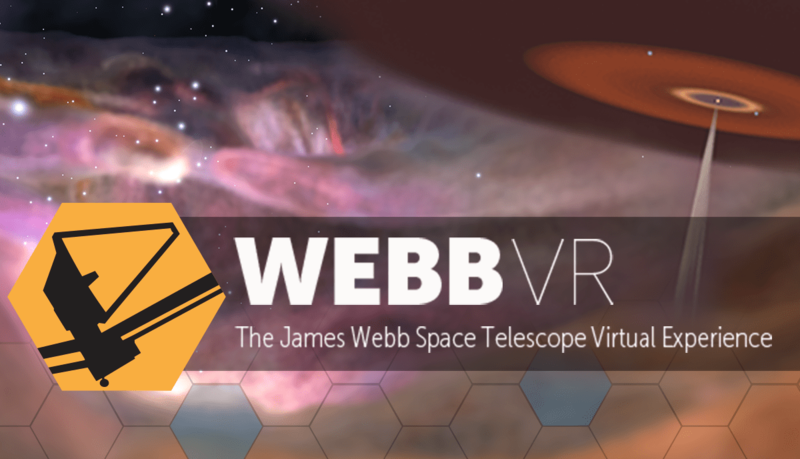 The Space Telescope Science Institute featured their new WebbVR experience (now available for free on Steam), which lets you build planets, explore a galaxy or learn more about the Webb Telescope. Many other organisations showcased their interactive and VR tools, including IPAC-Caltech’s TRAPPIST-1 flythrough and the Chandra Observatory’s 3D models of supernova remnants. Our Coordinator was on hand taking notes, trying activities out and collecting all important swag to be distributed at future iREx events. Of course, lots of scientific discussion also takes place at the AAS! A number of plenary talks were given on exoplanets and related subjects, including the interstellar object ‘Oumuamua, exoplanet climates, the astrochemical origins of planets and planet formation. A TESS Town Hall meeting was held, where the TESS scientific team gave the latest updates on this very exciting mission. The National Academies Committee also presented their new Exoplanet Science Strategy for the upcoming decade. Finally, a common thread that ran through the entire meeting was the role astronomers can have in bettering the public’s understanding of important science, for example climate change. Much of the technology astronomers use and even some of the science they study is very much related to climate change, which is now more than every an important topic of discussion for all of our planet’s citizens. AAS attendees were encouraged to examine their place in the general social ecosystem and how they can use their voice for the good of everyone. The next AAS Winter Meeting will be held in January 2020 in Honolulu, Hawaii. We’ll see you there! ← A super-Earth orbiting Barnard’s Star?